This will only be the sixth meeting between these storied programs and only the second time the game has been played in Lincoln. 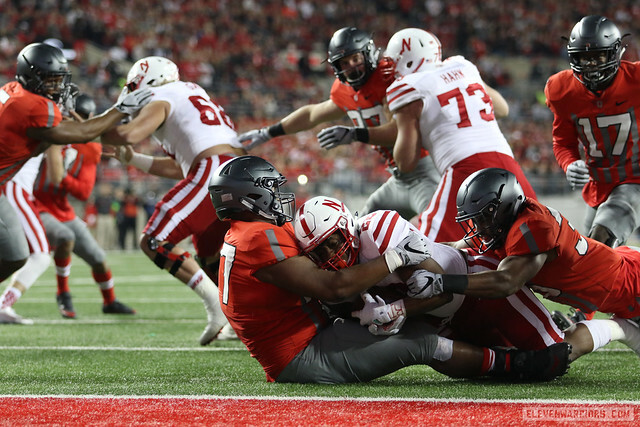 Ohio State is 4–1 all-time against against Nebraska, but is 0–1 as the away team. Ohio State played Nebraska, the Buckeyes won 62-3 in Columbus. OSU played a season without facing the Cornhuskers was 2015. The Scarlet and Gray lost to Nebraska was 2011 and the second half debacle. Ohio State played game 7 on the road was 2016. The No. 2 Buckeyes lost to Penn State 24-21. A blocked punt and field goal proved critical in the loss. Since 2009, the Buckeyes are 5–3 on the road in Game 7 battles. Only of the losses was to a ranked opponent. OSU lost to a non-conference opponent on the road in game 7 was to Case in 1910. The OAC opponent won 14-10 in Cleveland. Bowl Game: Lost to Tennessee 24-38 in the Music City Bowl. Coaching Status: Mike Riley (15–11) third season at Nebraska. QB Tommy Armstrong accounted for 2,692 yards and 22 touchdowns last year. He was Nebraska's second leading rusher with 512 yards and had a team-high 8 rushing touchdowns. RB Terrell Newby led the Cornhuskers with 879 rushing yards and averaged 4.6 yards per carry. WR Jordan Westerkamp had 38 receptions for 526 yards and five touchdowns. He led Nebraska in all of those receiving categories. Nebraska loses a lot on defense as well. The team will be without its top-two tacklers and top-two sack leaders from last year. Josh Banderas (93 tackles) and Nathan Gerry (74) are gone along with Ross Dzuris (5.5 sacks) and Kevin Maurice (4.0). This is the 20th time the Buckeyes have played on October 14th. No. 1 Ohio State defeated Michigan State 35-7 in Spartan Stadium the last time the program played on this date. The Buckeyes are 4–1–1 as the away team on October 14th. In the program's history, this is only the second time game 7 has been played on this date. The first game the Buckeyes played on October 14th was a 36-10 beating of Wittenberg in 1893 at Recreation Park. Ohio State is 96–25–3 in the seventh game of the season and is 40–13 when playing game seven on the road. Mike Riley is 108–91 as a collegiate head coach over 15 seasons. He is Oregon State's all-time leader with 93 victories. Over the last ten years, the Buckeyes are 7–3 in the seventh game of the year and are 15–5 over the last 20 years.